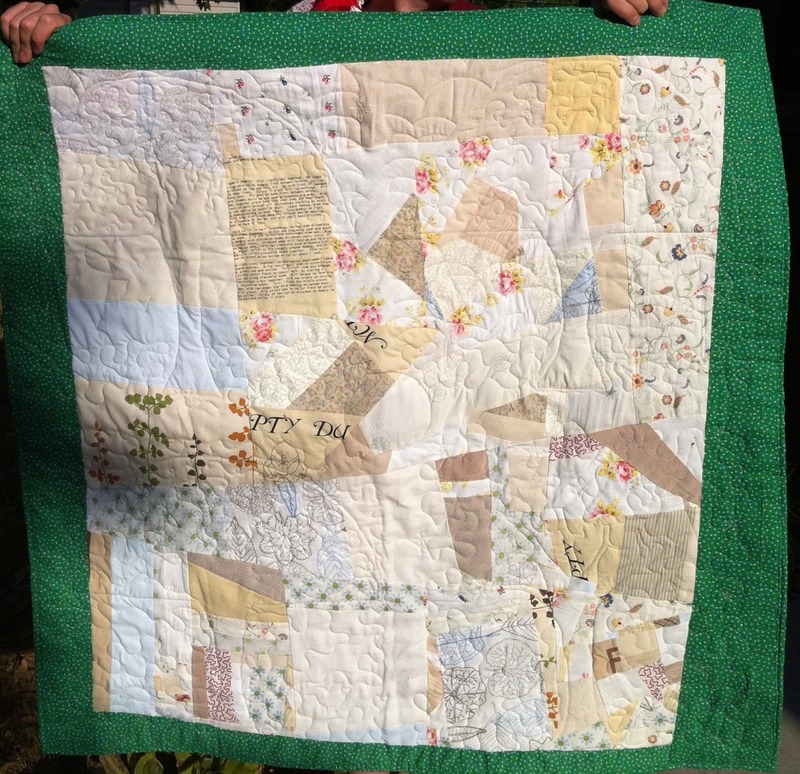 I finally found the photo of the back of the Seasons quilt I made for my niece’s adoption. It’s composed of whites, near-whites, and light browns from my scrap bins. I think I may like the back more than the front. Sometimes art happens when you’re not even trying.